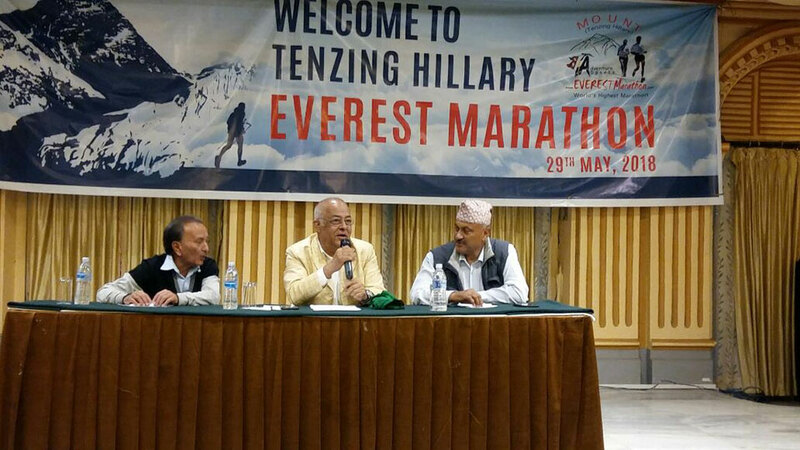 The Himalayan Expedition, an organization promoting adventure sports in Nepal, is set to organize the 15th Tenzing-Hillary Everest Marathon in the Khumbu region on May 29. 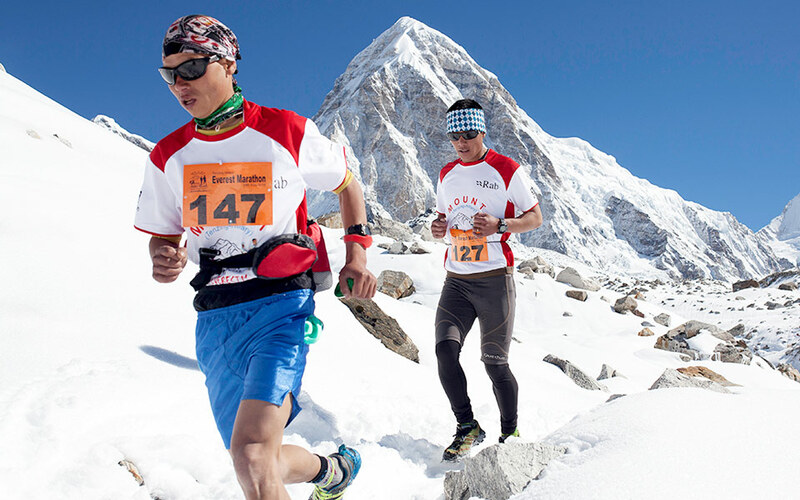 Tenzing Hillary Everest Marathon is an international high altitude adventure sports event held from Mt. 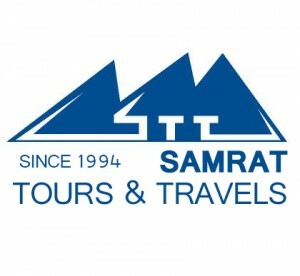 Everest Base Camp, criss-crossing the high Sherpa trails of Khumbu valley on May 29th every year. This event celebrates the historical ascent on Mt. Everest by Tenzing Norgay Sherpa and Sir Edmund Hillary on 29th May 1953. Event Manager, Shikhar Pandey said that the marathon will see a total of 200 runners from 31 countries, including Japan in the east and Peru in the west. “The marathon will feature three events – full marathon of 41.195 km, the ultra marathon of 60 km and the half marathon of 21 km,” Pandey said in Kathmandu. According to him, the full marathon will have open, women and foreigners categories. The top three finishers in the open category will be awarded NRs 200,000 (approx US$2,000), NRs 100,000 (approx US$1,000) and NRs 75,000 (approx US$750). Likewise, the top three athletes in women category will get NRs 100,000 (approx US$1,000), NRs 75,000 (approx US$750) and NRs 50,000 (approx US$500) respectively. Similarly, the first, second and third finishers in foreigners section will get NRs 50,000 (approx US$500), NRs 35,000 (approx US$350), and NRs 25,000 (approx US$250) respectively. According to the organizers, the top three athletes in ultra marathon will get cash prize of NRs 100,000 (approx US$1,000), NRs 75,000 (approx US$750) and NRs 50,000 (approx US$500) respectively. The half marathon winners will get NRs 50,000 (approx US$500), NRs 35,000 (approx US$350) and NRs 25,000 (approx US$250) respectively. 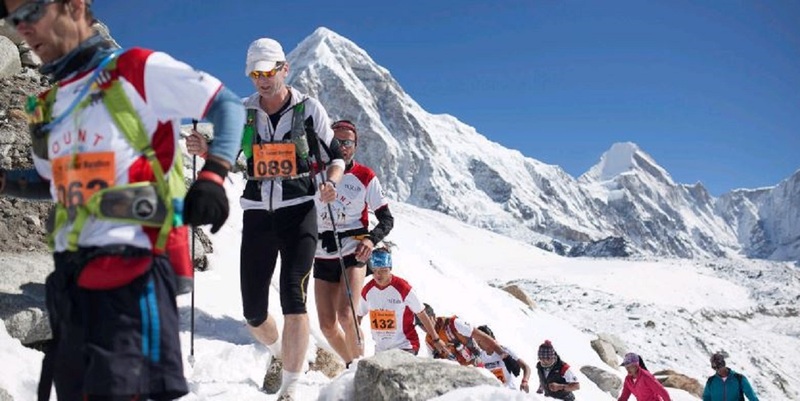 The full marathon and ultra marathon will start from the Everest Base Camp at the altitude of 5,400m and end at Namche Bazaar, at the altitude of 3440m. 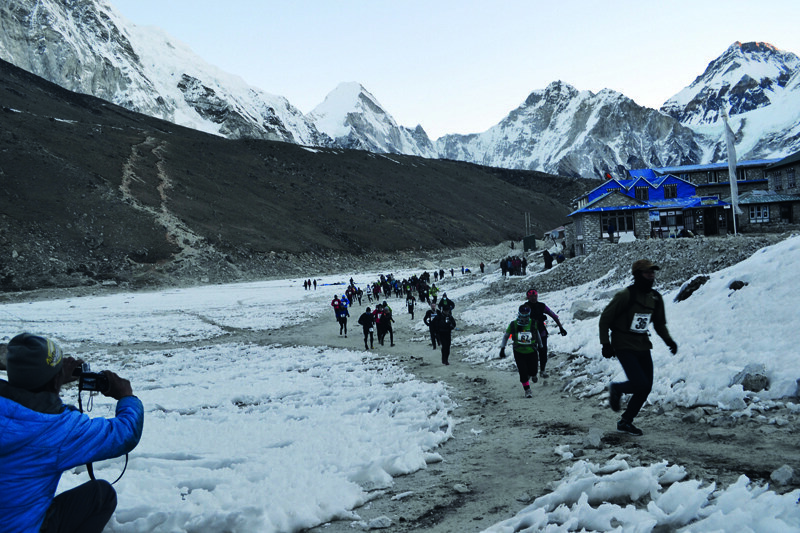 Likewise, the Half Marathon will begin from Dingboche (altitude 4410m) and end at Namche Bazaar in Solukhumbu district in Nepal’s north-west. Tagged Everest Marathon, Mount Everest, Tenzing-Hillary Everest Marathon, Travel Blog. Bookmark the permalink.